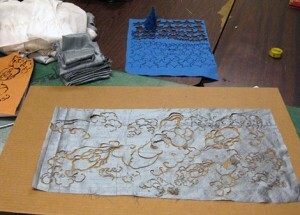 Learn how to lasercut textiles! This machine enables entirely new possibilities from easily cutting pattern pieces (within 1′ x 2′ dimensions) to creating new textures, functional decorations, dimensional objects, and even etching images or text onto fabric! We can work with both synthetic and natural fibers (both plant fibers and animal fibers.) Some materials will be provided, and you can also bring in your own fabrics. This class will also include sewing tutorials for lasercut textile applications. Different techniques will be demonstrated and experimenting will be encouraged!